Stars in the sky at Kuala Lumpur International Airport. Under construction the Tabung Haji Hotel & Convention Centre, Sepang. Architect: Hijjas Kasturi. The urban architecture of Kuala Lumpur. The Troika, is a three-tower, luxury condominium development in Kuala Lumpur. 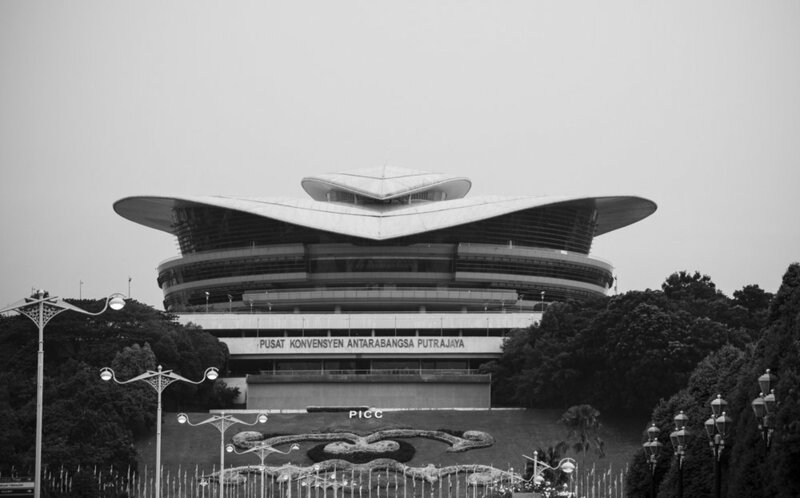 Architect: Foster & Partners. 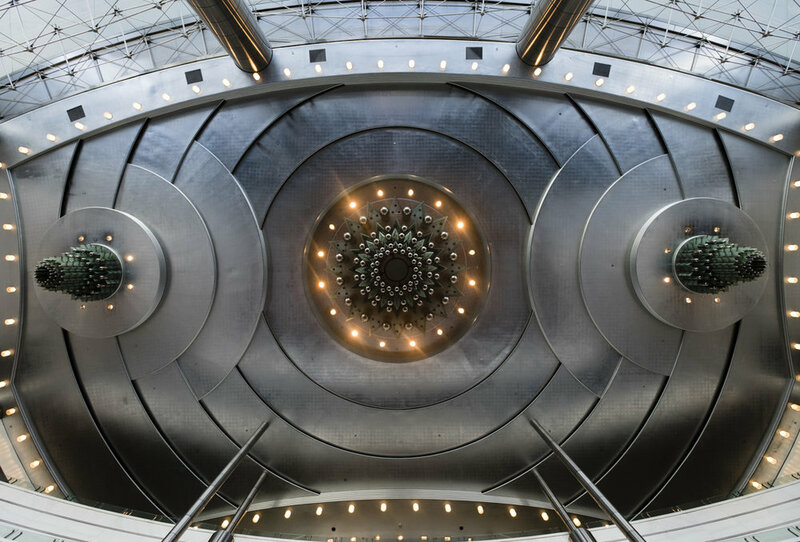 Sculptured Skylights of the Aeon shopping Complex. Room with a view over Bukit Bintang, Kuala Lumpur. Petronas Towers, Kuala Lumpur. 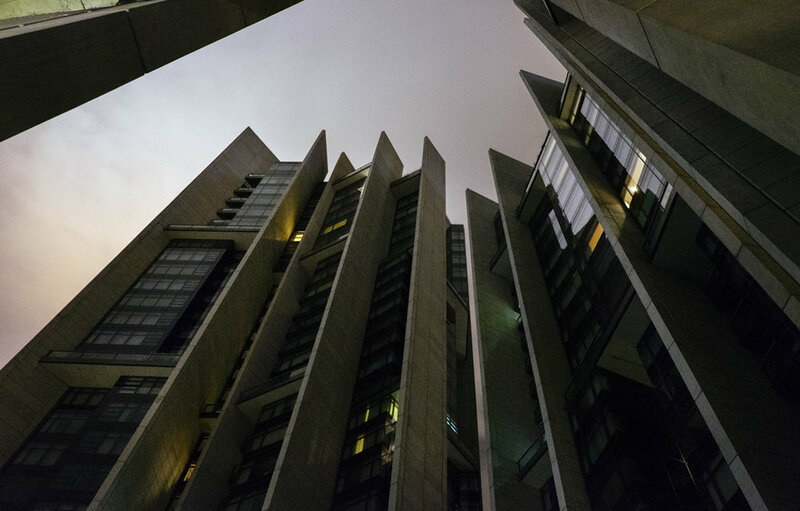 Architect: César Pelli. 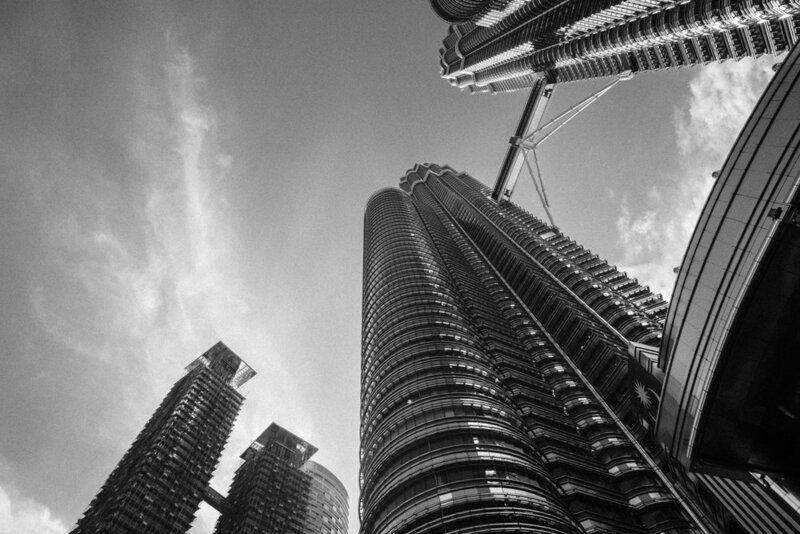 Looking up under the Petronas Towers, Kuala Lumpur. Architect: César Pelli. Traditional village house of Kampung Baru, Kuala Lumpur. 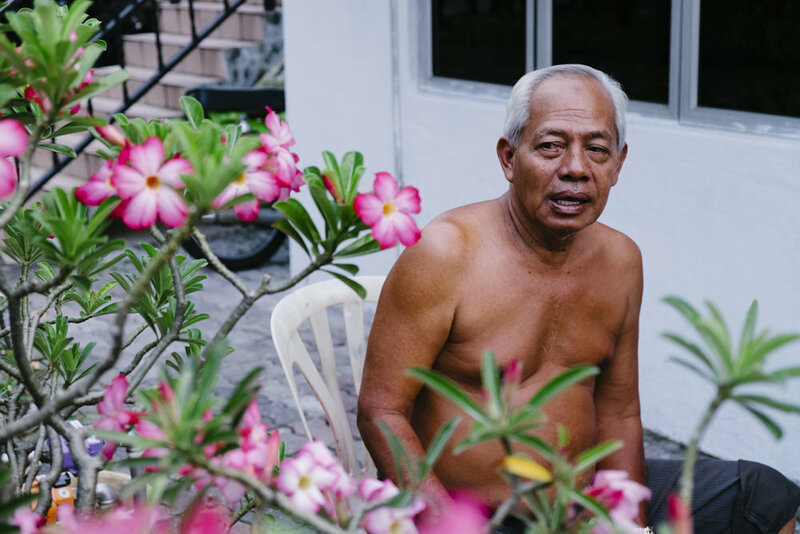 One of the local Malay elders, he was born in the house he still lives in. Kampung Baru, Kuala Lumpur. Anyone for corn. Kampung Baru, Kuala Lumpur. 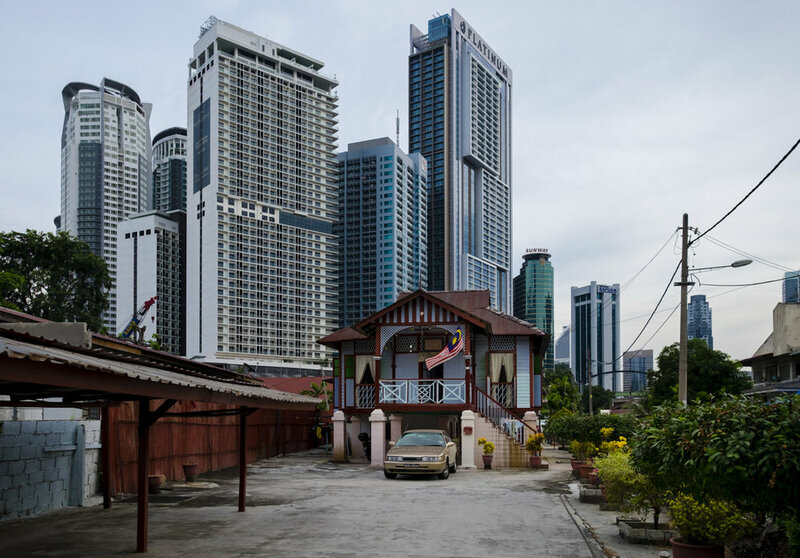 Contrasts in architecture at Kampung Baru, Kuala Lumpur. Love the textures and colours. Kampung Baru, Kuala Lumpur. 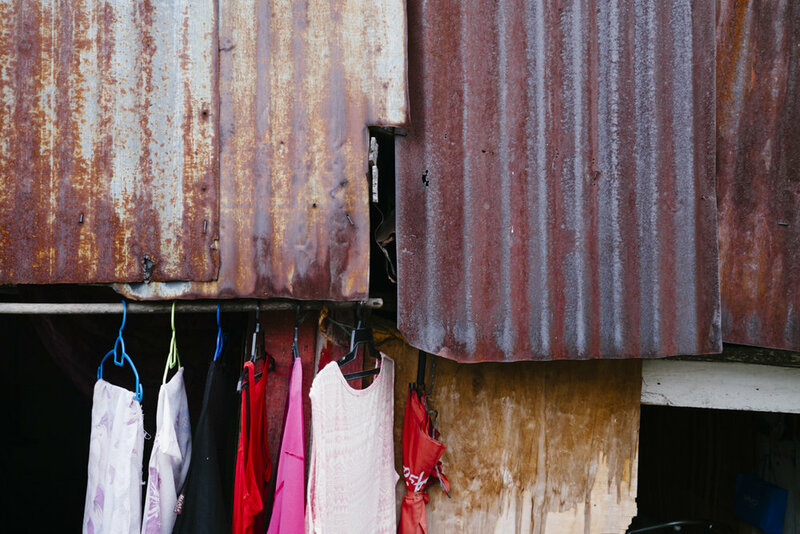 As the city encroachs the traditional village of Kampung Baru, Kuala Lumpur. Local street food of Kampung Baru, Kuala Lumpur. The Petronas Towers with KL Tower on the right as seen from Kampung Baru, Kuala Lumpur. 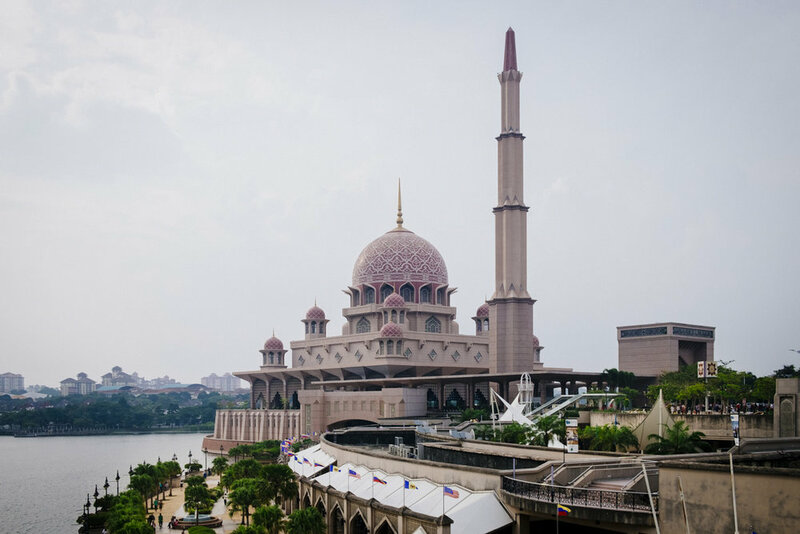 Masjid Putra is the principal mosque of Putrajaya, Malaysia. Stunning Islamic architecture. Putrajaya, Malaysia. Putrajaya International Convention Centre, Putrajaya, Malaysia. Architect: Hijjas Kasturi. 33 degreees and humid one needs a pool at the end of a day of temple exploring. 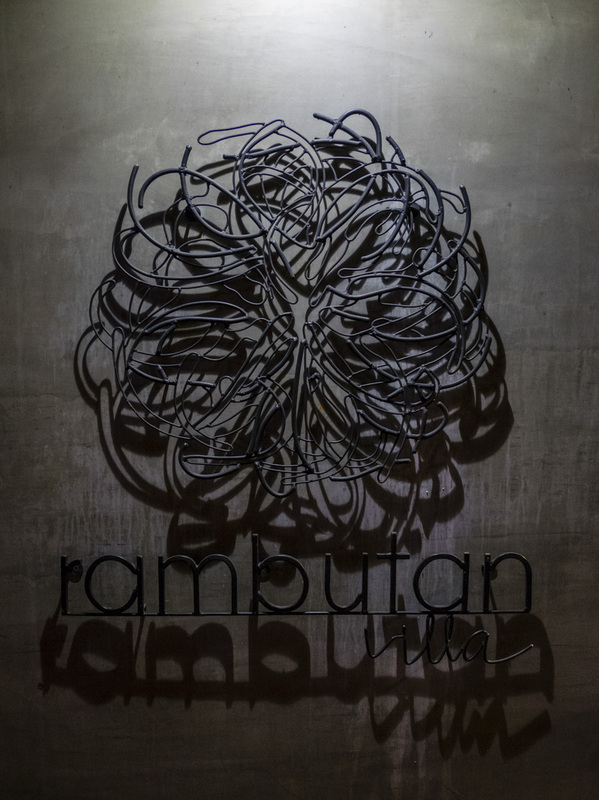 Rambutan Resort. Siem Reap, Cambodia. 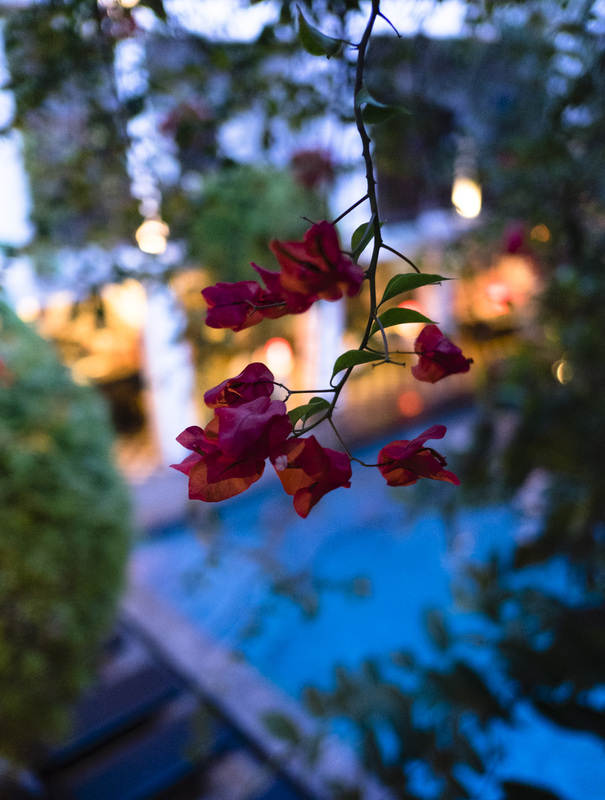 Beautiful Bougainvillea, Rambutan Resort. Siem Reap, Cambodia. 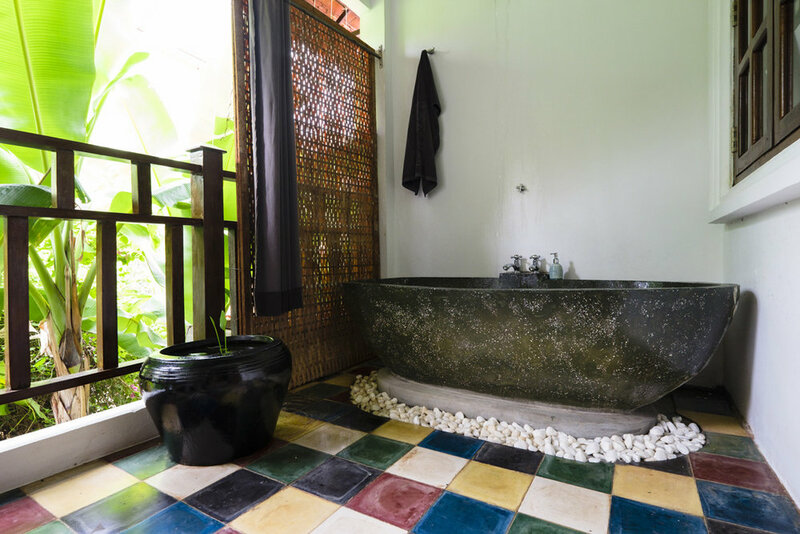 Loved the outdoor shower and bath, Rambutan Resort Siem Reap, Cambodia. Past her bed time. Pub Street Siem Reap, Cambodia. So many massage places here. Pub Street Siem Reap, Cambodia. Never too early to read! 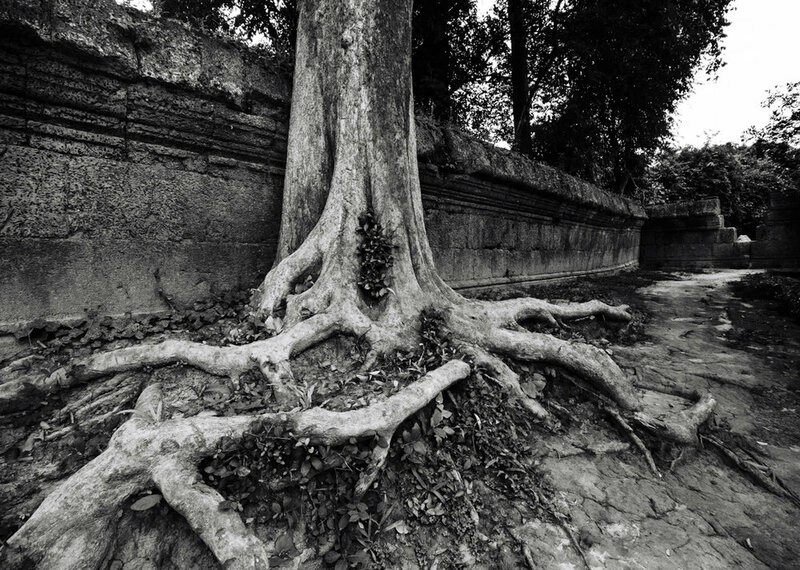 Siem Reap, Cambodia. 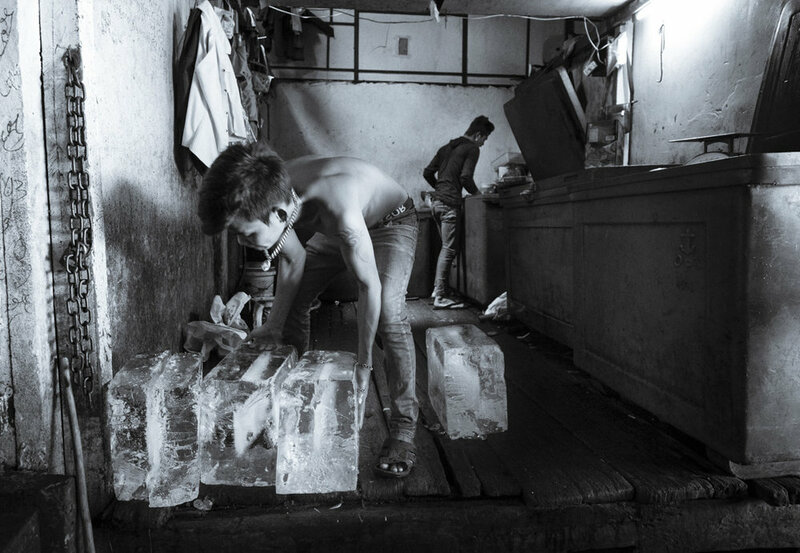 The ice merchant. Looks great just don't taste any unless your local. Siem Reap, Cambodia. The butcher Siem Reap, Cambodia. 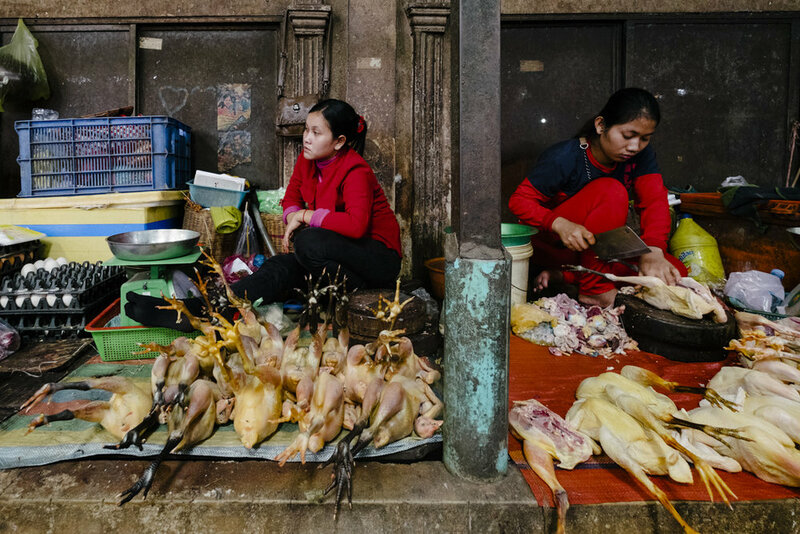 Poultry shop Siem Reap, Cambodia. 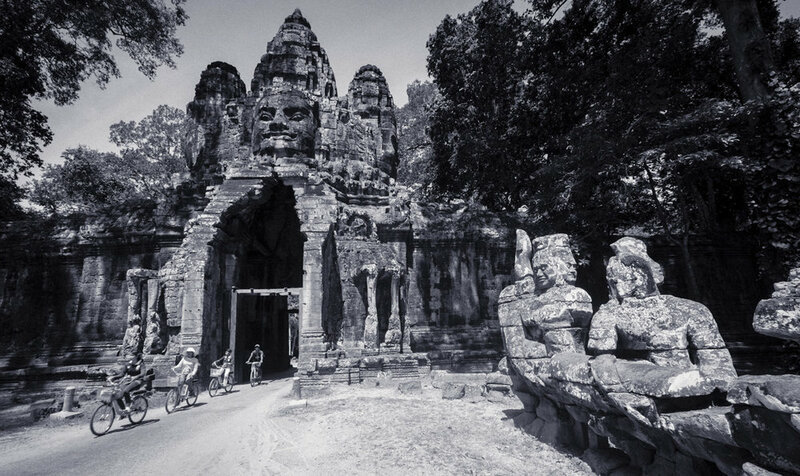 The many facers of Bayon. Bayon is a well-known and richly decorated Khmer temple at Angkor, Cambodia. 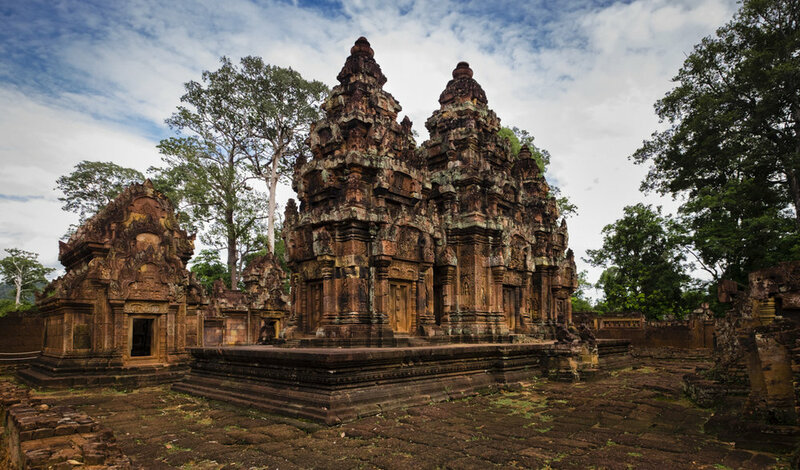 Banteay Srei is a 10th-century Khmer temple dedicated to the Hindu god Shiva. It was a bit of drive it's my favourite Khmer temple. Inside the inner sanctum with the mandapa and central tower. Banteay Srei Angkor, Cambodia. Two species predominate, the Silk-Cotton tree and the smaller Strangler Fig. With help of birds and their droppings they, have taken over many of the temples with a dramatic and eerie effect. Afternoon sun on the outer wall of Banteay Srei Angkor Cambodia. 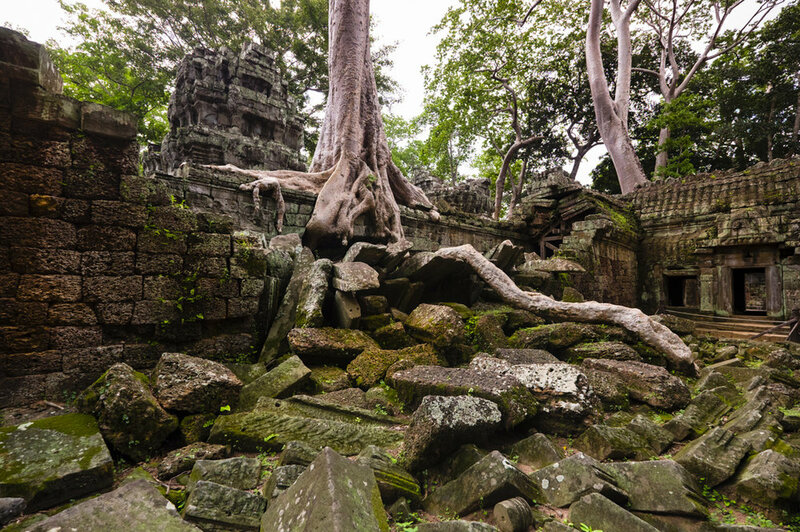 Ta Prohm is incredibly photogenic and atmospheric combination of trees growing out of the ruins, have made it one of most iconic Khmer temples. Angkor Cambodia. This stone gate house is one of the entrances to Angkor Thom, The Great City, the capitol city of the Khmer Empire, and was built over 800 years ago. Angkor Cambodia. The entry bridge at Preah Khan (meaning "Royal Sword") is a temple at Angkor, Cambodia, built in the 12th century for King Jayavarman VII to honour his father. A stone gate house at one of the entrances to Preah Khan, Angkor Cambodia. Intricate rock carvings at Preah Khan, Angkor Cambodia. Inside the gate house of Preah Khan. Angkor Cambodia. Preah Khan, architecturally dramatic with its colonnades and front portico. Angkor Cambodia. Preah Khan, Its was 35 degress and super humid. Yet I love how this couple still had the energy for fashion shoot. Angkor Cambodia. Photographers love to travel. I love it because it keeps me fresh and energised. Been a professional architectural and portrait photographer in Sydney can get pretty busy and it's great to photograph new projects without the normal constraints of my everyday photography commissions. I enjoy our regular corporate photography and shooting for our architect practices in Sydney, Brisbane and Melbourne too of course. People and Buildings is what I capture well. However it's interesting even when travelling with my camera in foreign countries, the experience I've gain over the years shooting the studios everyday assignments can still be applied to my personal photography. In February this year we went to Kuala Lumpur in Malaysia and Siem Reap in Cambodia. In fact, it was so good I wanted to go back again. So I did in September and it was well worth it. Kuala Lumpur is a developing city with a great mix of traditional buildings, super skyscrapers and giant luxurious shopping centres. I've been there a number of times before and I'm always looking to discover something new or go back to a previous location and see how I can photograph it differently, which is a fun photography challenge. This time especially wanted to go to the tradition village of Kampung Baru. It's a Malay enclave in central Kuala Lumpur. One of the most valuable tracts of land in the capital, it has been estimated to be worth up to US$1.4 billion. 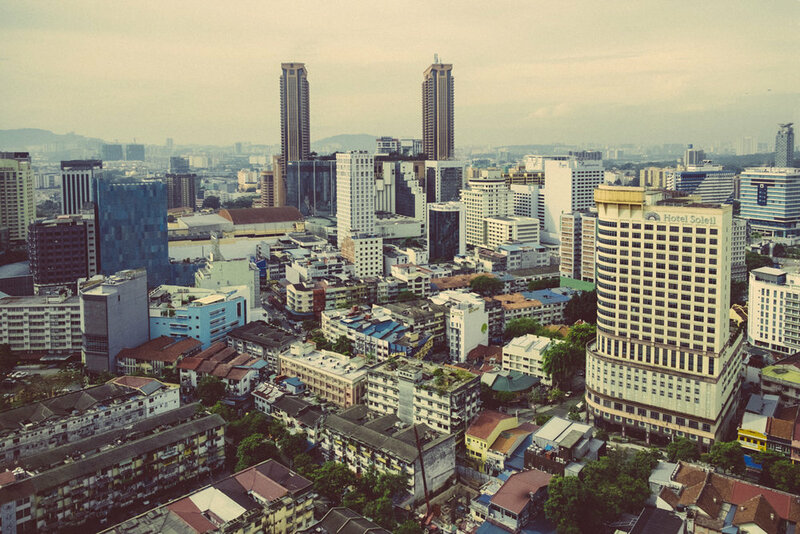 Kampung Baru's elders have turned developers away, saying they want to preserve their ethnic Malay lifestyle. Hopefully my photographs have captured the spirit and culture of the local village. You must go there for wonderful traditional Malay food and to meet the wonderful friendly locals. It would be great shame to see this been wiped out by greedy developers. After Kuala Lumpur we went to Siem Reap in Cambodia, it was the wet season so it was very green and with a fewer people around too. The complete opposite from our previous trip in February which was the dry season and masses of tourists. It was great to be able to concentrate more on photographing the stunning architecture of the Khmer temples built in the 12th century. 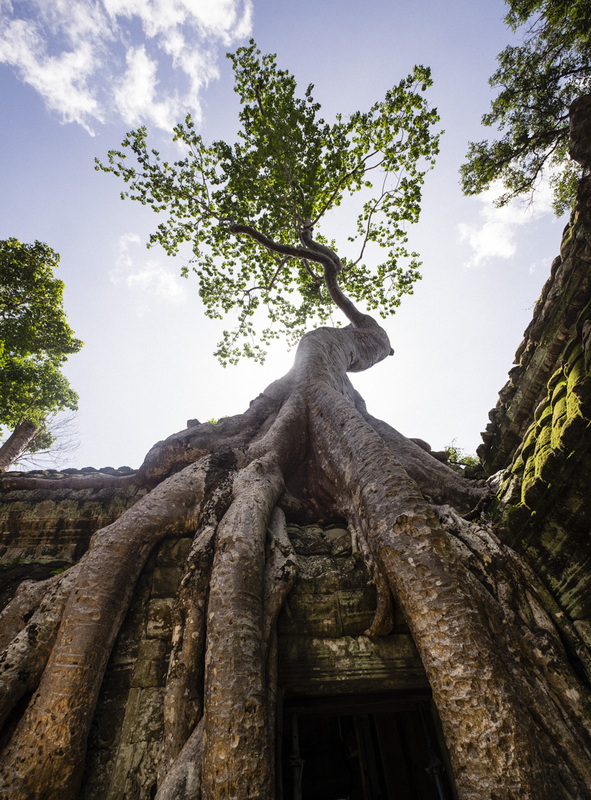 The energetic town of Siem Reap is the gateway to the many Khmer temples in the region. Including Angkor Wat, which is the largest religious monument in the world, with the site measuring 162.6 hectares. Siem Reap is a vibrant busy town. They even have a street called Pub Street, naturally it's full of tourists all hours of the day and night. Almost anything is for sale here. I especially enjoyed the local markets, a photographers dream to shoot. A couple of weeks ago the studio was commissioned by Conrad Gargett Architects to capture professional portraits of their additional architects and support staff. The reason for the photoshoot was because the firm had recently merged with two other Award Winning Firms. So naturally a location shoot to their office was required to photograph 25 people. It often surprises me after I have photographed someone, that they say how fun it was and not at all intimidating. How do I manage that? Well that's my secrete weapon. Nah not really, it's simple just be engaging and interested in them. Luckily I have the natural ability to get along well with all type of people. To put it simply, I'm a people person. Conrad Gargett is at the forefront of architecture in Australia. 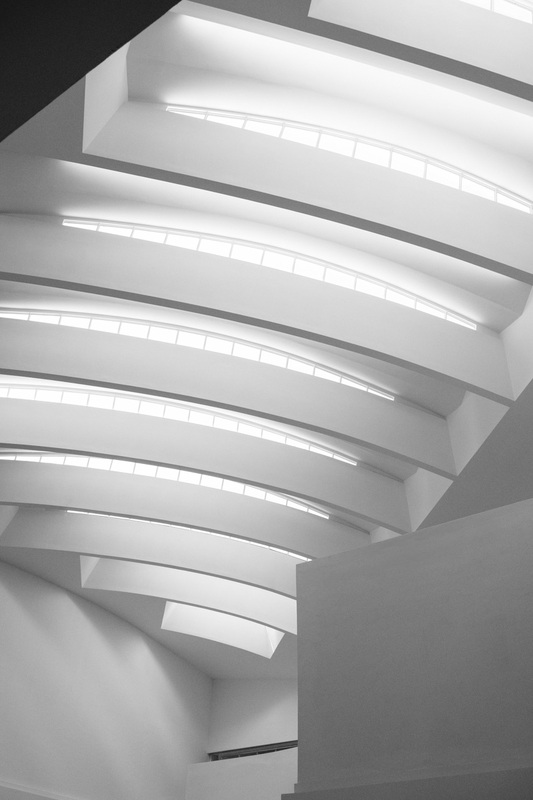 A progressive firm with a vibrant legacy of prominent and enduring designs. Since 1890, Conrad Gargett has continuously evolved. Bringing together three national award winning firms: Conrad Gargett Architecture, Riddel Architecture and Ancher Mortlock Woolley, Conrad Gargett is a robust team with a broad range of expertise and complementary experience. Operating from Brisbane, Sydney and Townsville, Conrad Gargett delivers projects internationally, across a diverse range of sectors including:.